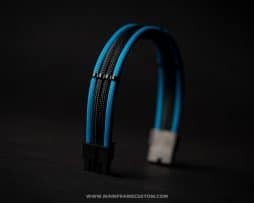 We spent a long time perfecting the best 16AWG wire for use with cable sleeving and this is it! 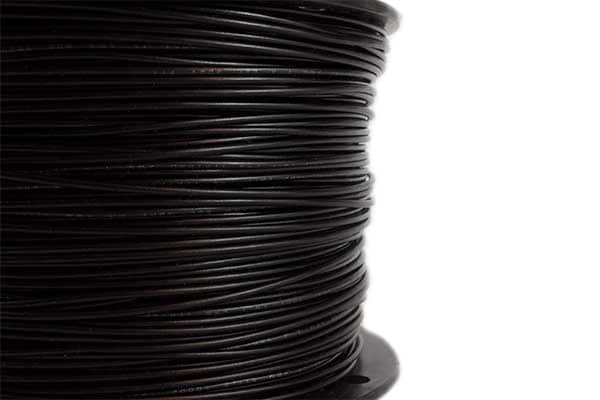 Our custom 16AWG cable sleeving wire has an outer diameter of less than 2mm. 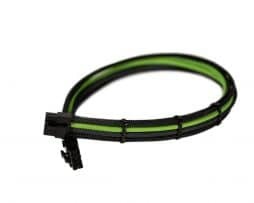 This is very important when trying to crimp terminals onto this wire, and be able to get your sleeved cable into the connector. Our Ratchet Crimper works perfectly with this wire in crimping on the necessary terminals. A lot of 16AWG wire that you find at your local hardware store has an insulation thicker than 2mm making it very difficult to nearly impossible to crimp terminals onto it. 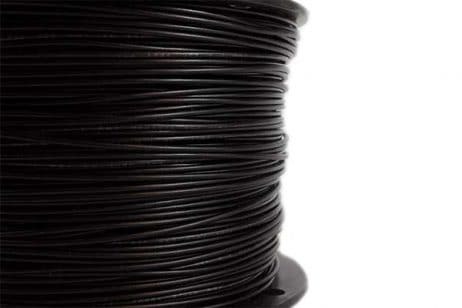 This wire’s insulation is made of durable PVC which holds a higher quality than that of silicon insulation. It also allows for better rigidity when training your cables. We went even further to make sure this wire uses tinned copper to aid with soldering! 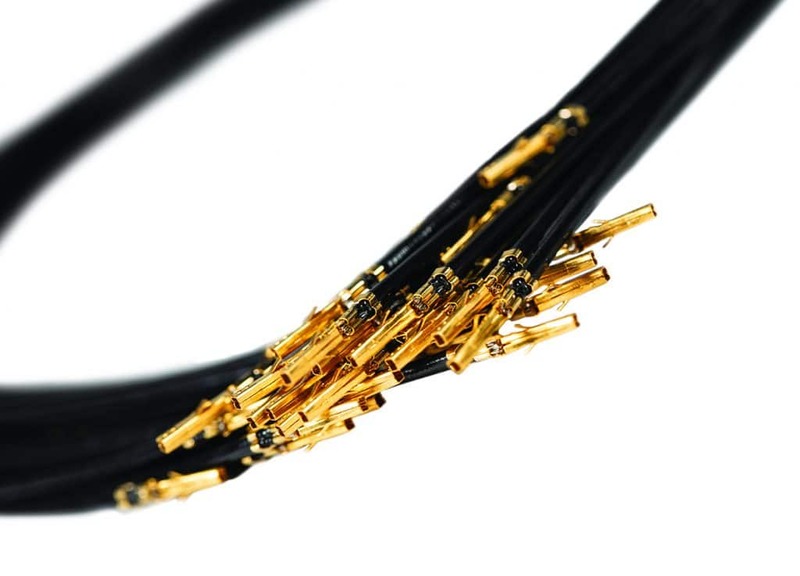 Since tin is a primary component in solder, this wire makes it easier to use when soldering together those pesky double wires. Tinned copper is also better protected from corrosion than non-tinned copper wire. We also needed a wire with very faint writing on the insulation and this wire pasts the test. 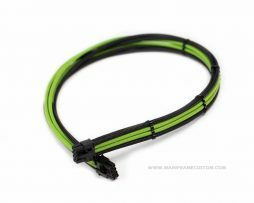 The writing won’t bleed through your sleeve especially our Teleios, and Coreless Paracord sleeving. Q: Which gauge wire do/should I need? 16AWG or 18AWG? 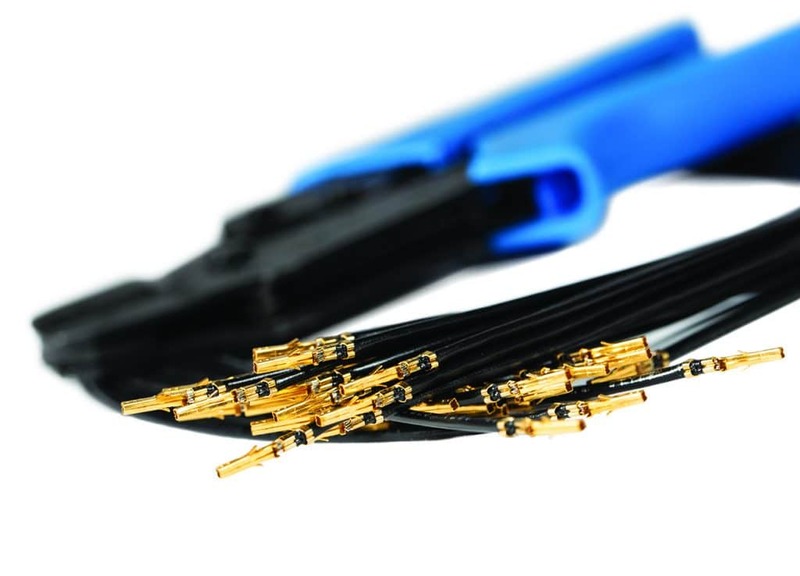 A: It depends on your application but either gauge can be used for your: ATX, EPS, PCI-E, SATA, or Molex cables. 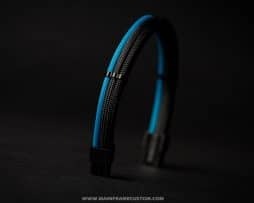 16AWG wire holds its shape better than 18AWG wire so it generally is better for forming or shaping your cables around in your case. A downside is that the cables will be harder to bend, so if you are using a smaller form factor case this may not be ideal. 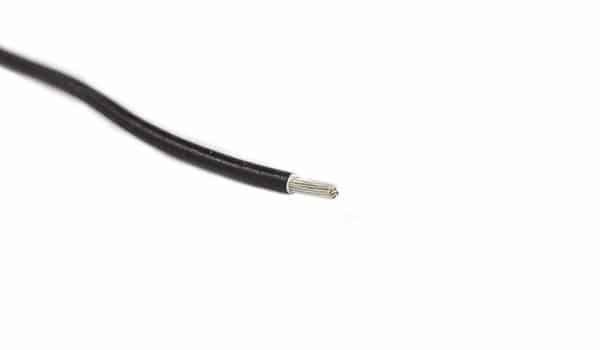 16AWG wire also fills out the sleeve more and gives the cable a more “heavy duty” feel. Either can be used for any size power supply however, we would recommend anything of 1200w or greater to use 16AWG wire.